As part of ongoing series “Its About Blockchain, Blockhead, Not Bitcoin!”, FT reporter Attracta Mooney hit the yellow zone of the target in a recent column profiling the how, where and why investment industry asset managers in UK, Ireland, Luxembourg, Hong Kong, Singapore, Taiwan and Australia could enjoy nearly $3billion in annual savings were they to embrace blockchain’s distributed ledger powered processes. After all, the new ‘internet of things’ blockchain value proposition for securities industry purposes is specifically designed to deliver at very least, greater efficiency in work flow, greater trust in the information being shared, enhanced transparency among trade processing constituents and more effective use of human capital resources. 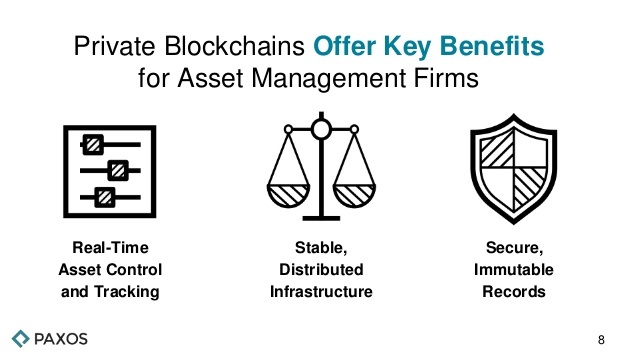 Blockchain could save asset managers $2.7bn a year if the investment industry shunned the laborious manual practices involved in buying and selling funds in favour of using online ledger technology, according to research published on Thursday. Technology company Calastone said blockchain, which is a giant online ledger, could revolutionise the processes involved in buying and selling funds, generating large savings for investors in the process. It estimated that based on daily trade volumes of funds in the UK, Ireland, Luxembourg, Hong Kong, Singapore, Taiwan and Australia, £1.9bn — or $2.7bn — in savings were possible. Ken Tregidgo, deputy chief executive of Calastone, said significant cost savings could be made by using distributed market infrastructure. For each transaction, different companies, ranging from transfer agents to asset managers, often have to input the same information, which is time-consuming and can be prone to errors. “That is a cost that is being paid and is ultimately being paid by the end investor, by you and me,” he said. Calastone calculated the potential cost savings of moving to distributed and mutualised market infrastructure by using data from a Deloitte study on fund expenses. By stripping out the costs that are traditionally incurred during the buying and selling process, but could be moved to blockchain, it calculated potential savings. Last year, Calastone said it had successfully used blockchain to buy and sell mutual funds under test conditions. It said the technology proved capable of processing transactions equivalent to a full day’s trades sourced from across its client base, which spans more than 1,400 fund distribution and asset manager clients across 35 countries. There are several initiatives investigating how blockchain can be used in the fund industry, ranging from settling transactions to trading securities. This entry was posted in Prospectus and tagged asset management industry, asset manager blockchain, asset managers, Attracta Mooney, blockchain dapps, Calastone, dapps, distributed ledger, fintech merchant bank, George Chrisafis, Ken Tregidgo, senahill partners. Bookmark the permalink.